We conducted a cross-sectional study to examine the perceptions of quality of life among people living with HIV who received home-based care services administered through outpatient clinics in Ho Chi Minh City, Viet Nam. Data were collected from a sample of 180 consecutively selected participants (86 cases, 94 controls) at four outpatient clinics, all of whom were on antiretroviral therapy. Quality of life was evaluated using the WHOQOL-BREF instrument. In adjusted analysis, those who received home-based care services had a quality of life score 4.08 points higher (on a scale of 100) than those who did not receive home-based care services (CI 95%, 2.32–5.85; p < 0.001). 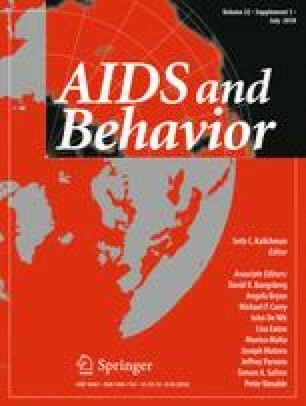 The findings suggest that home-based care is associated with higher self-perceptions of quality of life among people living with HIV. The authors acknowledge the interviewers and the HCMC PAC staff for their contribution to the collection of data. We would like to thank FHI in Viet Nam for providing HBC activities in the outpatient clinics, and CDC in Viet Nam for supporting HBC services and reviewing the study protocol and manuscript. This study was funded by the President’s Emergency Plan for AIDS Relief (PEPFAR) through the U.S. Centers for Disease Control and Prevention under the terms of PS001468. We wish to acknowledge support from the UCSF’s International Traineeships in AIDS Prevention Studies (ITAPS), U.S. NIMH, R25MH064712. The authors declare that they have no competing interests. This study was funded by the President’s Emergency Plan for AIDS Relief (PEPFAR) through the U.S. Centers for Disease Control and Prevention under the terms of PS001468. All procedures performed in studies involving human participants were in accordance with the ethical standards of The Ethical Review Board for Biomedical Research Hanoi University of Public Health and ADS of CDC and with the 1964 Helsinki declaration and its later amendments or comparable ethical standards. Centers for Disease Control and Prevention. 1993 revised classification system for HIV infection and expanded surveillance case definition for AIDS among adolescents and adults. 1992. https://www.cdc.gov/mmwr/preview/mmwrhtml/00018871.htm. Tanzania Commission for AIDS. Home based care in Tanzania. TACAIDS. 2008. http://www.ncbi.n/m.nih.gov/pubamed/16499.